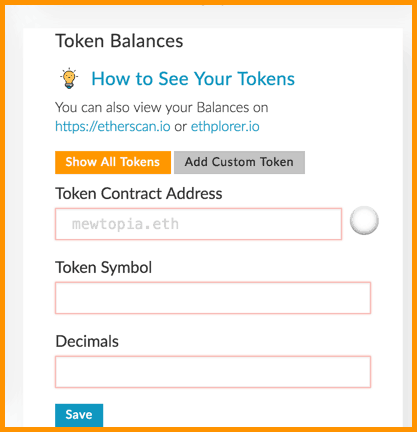 Not being able to see your ERC20 tokens in MyEtherWallet (aka MEW) is not new a thing. We’ve all been there. But what goes wrong is on many instances we aren’t able to see ERC20 tokens in MEW despite getting confirmation on the blockchain. It means that ERC20 token is not yet supported by MyEtherWallet by default. 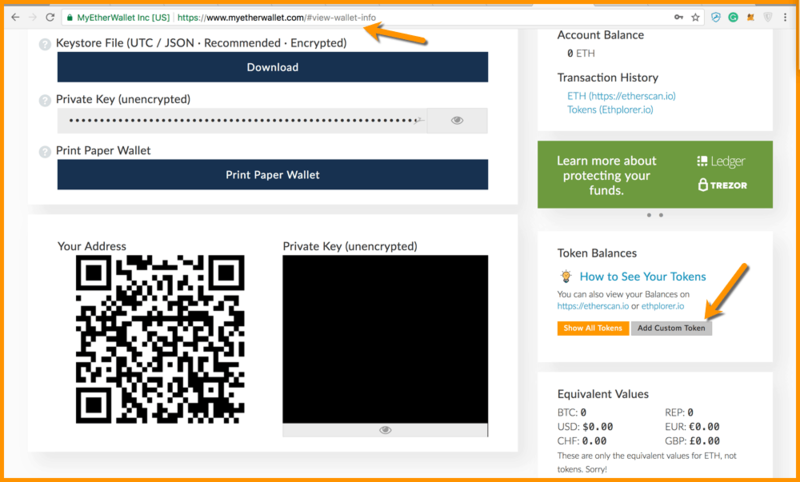 The word ‘default’ here is important because there are specific ways to manually add a non-supported token to MyEtherWallet. This problem of ‘Not being able to see my tokens’ usually arises at the time of airdrops or new ICO tokens being launched day in and day out. 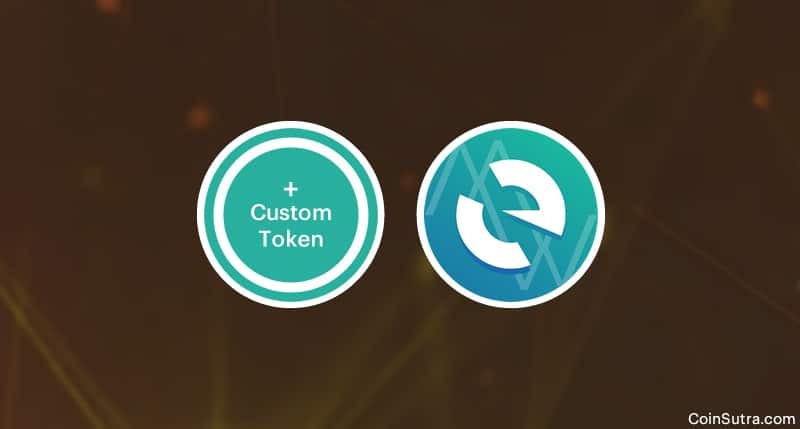 So it is really unfair to expect MyEtherWallet or any other ERC20 wallet to keep adding the support for these new tokens as and when they are launched. But of course, that doesn’t mean that you can’t do it yourself and see your ERC20 tokens. The process is quite simple and in this DIY tutorial of adding a custom token to MEW, I will tell you exactly how you can do so. 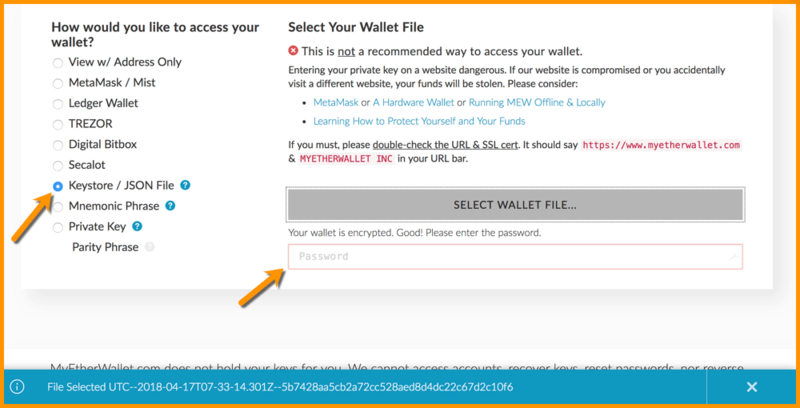 Before adding a custom token on MEW you should know how to make a secure account or wallet on MyEthereWallet. For this purpose, refer to this article: MyEtherWallet: An Introduction & Step By Step Guide For Beginners. 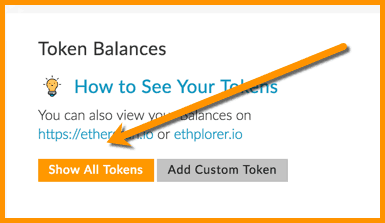 If still struggling with it, here is a step by step example of adding a custom token in MyEtherWallet. 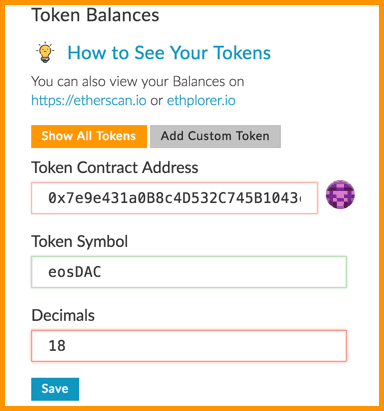 Note: Only ERC20 tokens can be added in MyEtherWallet as it is an Ethereum specific wallet. Normally, you get the contract details easily but just in case you are not getting it, ask the ICO or airdrop team and they will give you the contract address. I have mentioned above the links from where you will be able to extract all the necessary details. #5. 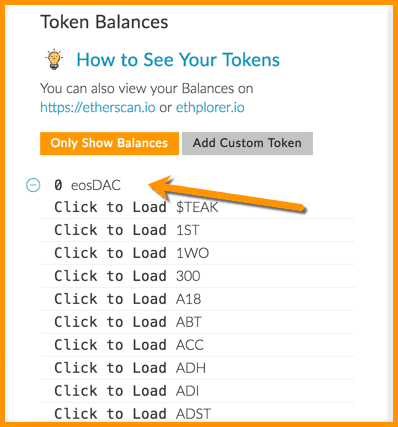 After clicking on “Save”, click on ‘Show All Tokens’ to see the eosDAC token balance. MetaMask is a classic example and even you can do the same in any other ERC20 supported wallet for sure. I hope this helps you with your problem of not being able to see your tokens in MEW. Please check once again before panicking because it might be because your token is not added in MEW by default. Hii your blog is very effective information regarding cryptocurrency and bitcoin in an open system -A good sense of change in human life with networking society. CDC coin tokan but 2 some different contract address how to add my ether wallet. Please reply as soon as. Do I need to send tokens to contract address or to my wallet address generated in myether account?